Available on CD or instant MP3 download. 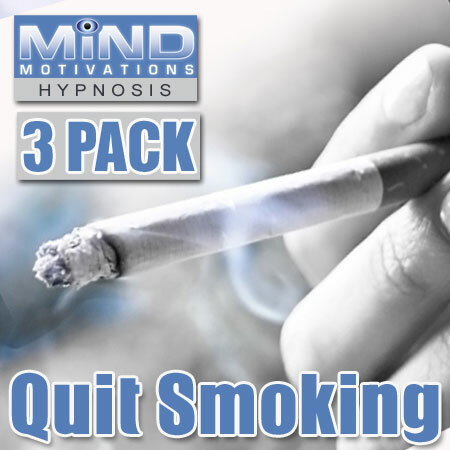 This great value hypnosis pack contains three powerful hypnosis titles which will help empower you on every level to give up smoking forever. Simply alternate between thees 3 titles on a nightly basis to use this amazing value program. Address the mental, emotional and physical barriers associated with quitting smoking with this proven CD or MP3. Directly target the addiction to cigarettes and discover how easy it is to replace the pattern with a more positive alternative. Help flush out your physical systems and balance your mind with your body to become more healthy during and after the quitting process. Quitting smoking will make you healthier, happier and save you a lot of money. This program contains proven clinical hypnotherapy methods to make this easier for you. This pack Contains 3 CDs or MP3s for the Price of 2! This pack is fantastic value and will save you money when compared to purchasing the same titles individually.